"Building machines capable of human-like intelligence is a very long-term project." Hollywood loves to give us stories of super-intelligent robots running wild with their orders. And we love to watch these stories. If artificial intelligence (AI) worked like it does in the popular imagination, a robot who was asked to dry up some spilled water would not stop until all the world’s oceans were dried up. But as an AI researcher, I know that the reality is much more mundane. Human-level artificial intelligence - also called artificial general intelligence - will be created slowly, over a long period of time. And it is very, very unlikely that a robot would ever be smart enough to devise a way to dry the world’s oceans without being smart enough to understand why that would be a problem. The apocalyptic AI scenarios the media portrays are a hyperbolic misrepresentation of actual risks. Though it may seem that the need to control AI is upon us, in reality, scientists will tell you that a lot more research - and many more steps - are needed first. Signs of AI’s progress are around us all the time, and many of us interact with them in ways that make our daily lives easier. Siri (Apple’s speech recognition tool), Watson (the question-answering computer) and self-driving cars, for example, are all signs of progress that show technology has reached the same level of complex behaviors found in our reptilian ancestors. But smart-looking behavior is not the same as general intelligence. What separates them is the human ability to dynamically imagine, reason and adapt — to understand and respond to the environment, reason about the consequences of an action, interpret behavior and imagine new possibilities. These dynamic responses — the ability to learn, imagine and reason like a human — are many years and fundamental discoveries away. Building machines capable of human-like intelligence is a very long-term project that requires teams of scientists working for many years. The results will not happen all at once. Each of the steps toward creating AI are milestones in and of themselves, and since they have the potential to be both publically interesting and commercially valuable, it’s likely they will be shared and celebrated. 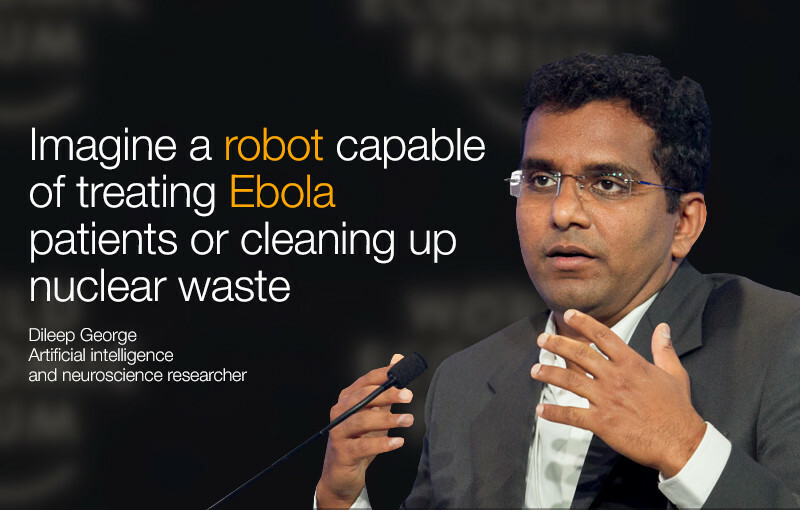 Imagine, for example, the response to a robot capable of treating Ebola patients or cleaning up Nuclear waste at Fukushima. Not only are the humanitarian benefits intrinsically exciting, but the progress toward AI will be something publically shared, not hidden away. Many doomsday predictions falsely project all sorts of problems with fully-fledged artificial intelligence making disastrous decisions. In reality, getting to the point where our computers operate according to common sense and expectation is exactly the kind of research challenge we must overcome before we get to even the first level of artificial intelligence. Only when these problems are both understood and solved will AI become possible. The real concerns of those working on AGI are not, however, the overblown dramas the media presents. Like every major technological advancement in human society, AI offers both risks and rewards. One practical example is the economic effect of robotic automation. Some economists argue for government-sponsored schemes to ease the transitions toward more automated manufacturing and transportation in order to soften the impact of displaced jobs. I agree with these ideas. These possibilities drive the research at Vicarious and other AI labs toward further innovation while taking both the potential risks and benefits into careful consideration. Technology has the power to transform society. The most significant human innovations have rewritten our capacity to help and heal, but also come with necessary and important questions we must ask ourselves. Earlier in the year, we contributed to an open letter and research document on the focus areas that can be helpful along the path toward human-level AGI, from legal frameworks for autonomous vehicles to verification algorithms. We are at an exciting time in technological advances. Superintelligent AGI has the capacity to solve many of the most significant problems facing humanity today, like addressing climate change or curing diseases. Media hype should not make us lose sight of human-level artificial intelligence’s potential. More than any other invention that has come before it, AI has the capacity to help humanity thrive. Author: Dileep George is an artificial intelligence and neuroscience researcher. In 2010, George and D. Scott Phoenix co-founded Vicarious, an AI research company focused on developing software that can think and learn like the human brain. He is participating in the World Economic Forum’s Annual Meeting in Davos.